UX/Design - Welcome to Yasmin's Page! The Game of Thrones Companion App is a second screen application for the popular HBO series. The goal is to help users navigate through a complex storyworld in a fun and engaging way. Sweet Auburn is a mobile application for visitors to Atlanta's historic Auburn Avenue. By sensing a visitor's geographic location, the application then shares some of the rich stories of the buildings along the street. This application was designed using Axure and the Adobe suite. MedChoice assists doctors and depression patients in choosing a depression drug. This prototype was built with the a focus on how to drive conversation between the two parties rather than choosing an "optimal" solution. It features a simple one-screen solution with a slider option. 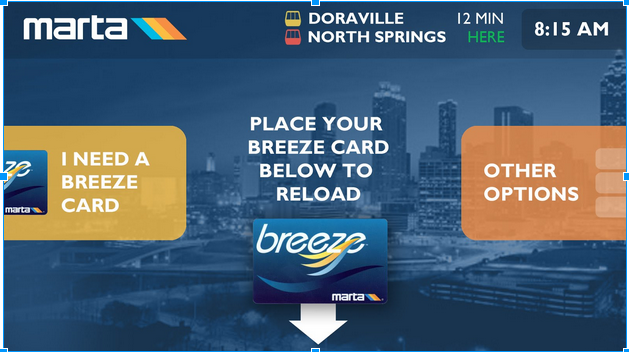 MARTA is Atlanta’s main public transportation system. It is an economically vital part of the city. Improving MARTA is a key part of Atlanta’s future growth. Our team focused on improving the design of the MARTA kiosk. Our team redesigned the Delta boarding pass with international travelers in mind. The design must have broader appeal, contain clearer information and must overall enhance the traveling experience. This redesign is largely dependent on observations and use case scenarios.